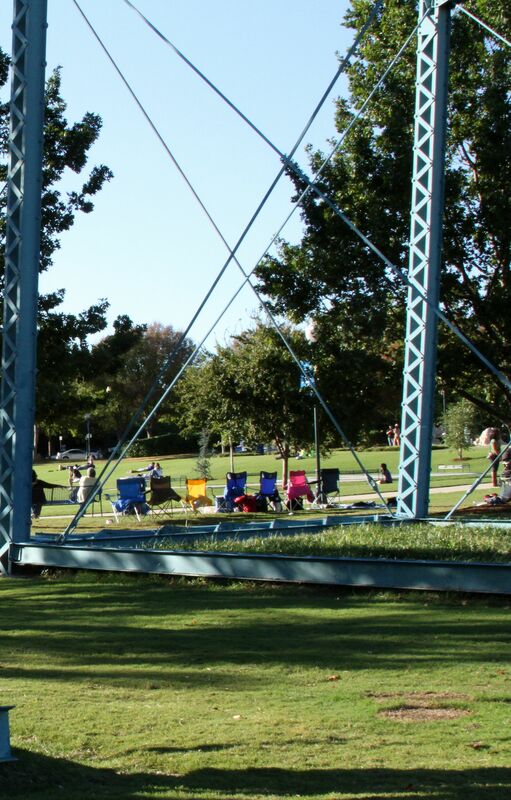 One of the most wonderful things about Chattanooga is that it has lots of public green space. There are all kinds of parks and public areas for people to get out, enjoy the spectacular scenery (it is the Scenic City! ), and be part of a thriving community. While all of the parks are nice, there are six that stand out as especially fun for small children. If your family is visiting the city, or you live here and haven’t been to these parks, check them out! You, and any little ones you take, are sure to have some fun! few hours each day. The open, beautiful lawn is ideal for a picnic, the sidewalks are great for strollers, and there are even interactive sculptures scattered along the walkways. Learn more about the hours of operation for the fountain and the carousel, as well as the rules and regulations at the Chattanooga Parks and Recreation web site. All small children like to look at animals, right? There are plenty to see at the Warner Park Zoo. This small zoo has been in existence for 75 years, and is a perfect place to visit on a sunny afternoon. It is not overwhelming in the way bigger zoos can be, but there are some really cute animals to see. If you have the pleasure(?) of caring for both a small child and a canine friend, you will enjoy one of Chattanooga’s off-leash dog parks. 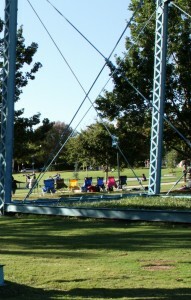 There are three: The Chew-Chew Park, which is adjacent to the Tennessee Pavilion, and two newer installations, one at Heritage Park and one at Greenway Farms. Find out more about the city’s policies before heading out with your furry friend! With wading pools, interesting bridges, sculptures, and walkways, this plaza is an excellent spot for little ones to explore! It is located downtown, and is part of the aquarium complex, but you don’t need a ticket to enjoy it. It’s a great spot to take a break if you are downtown shopping or eating or attending an event, as well as a good picnicking area. so if you feel like taking a walking tour of the city, grab a map and check out some of this kid-friendly artwork! No list of parks in Chattanooga would be complete without including this gorgeous, sprawling, 10 mile walking track. Adults and kids alike enjoy the views of the river, the surrounding mountains, the geese, the green spaces, not to mention the picnic tables, built in BBQ grills, and fishing piers. Whether you are looking for a spot to spend an hour, an afternoon, or a day, the Riverwalk has something to offer. 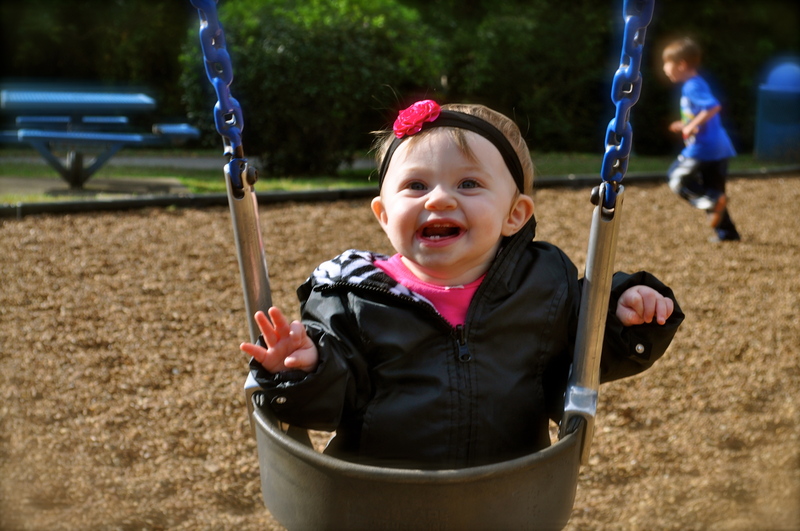 Baby swings, a walking trail around the perimeter, and a pavilion make Vandergriff Park a great place to spend some time with toddlers and babies. It’s also a fantastic place for a birthday party! 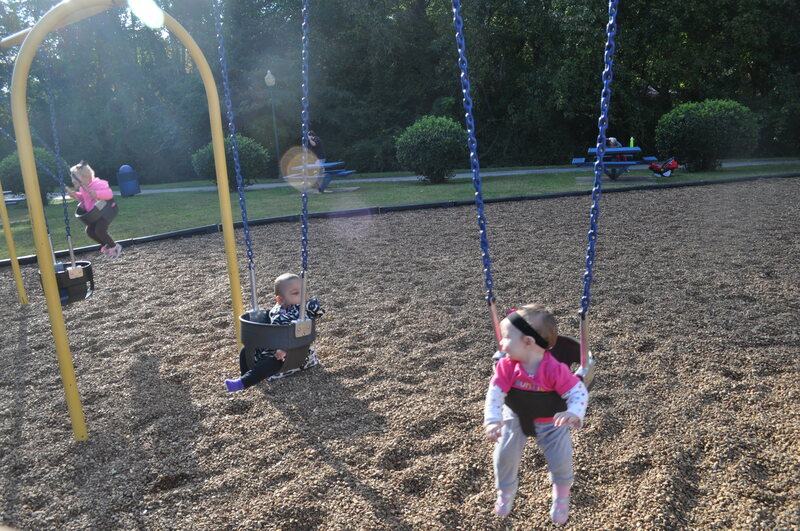 Swinging is fun for everyone! The Pumpkin Patch was built by community volunteers, and is maintained by volunteers. 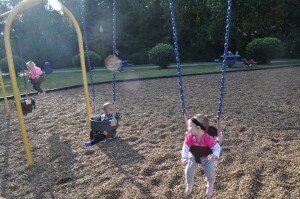 It is arguably one of the best parks in the area for very small children. There are baby swings, a sandbox, bells to ring, a baby slide, and it’s all nice and shady. Bigger kids can have fun, too – especially on the big slide. There is a pavilion that can be reserved for parties, and a short walking trail around the park.